Catalonia, as everyone knows, is going through delicate and confusing times. At Puppetring, and its sister magazines Putxinelli and Titeresante, we are particularly interested in building bridges, never in destroying them. 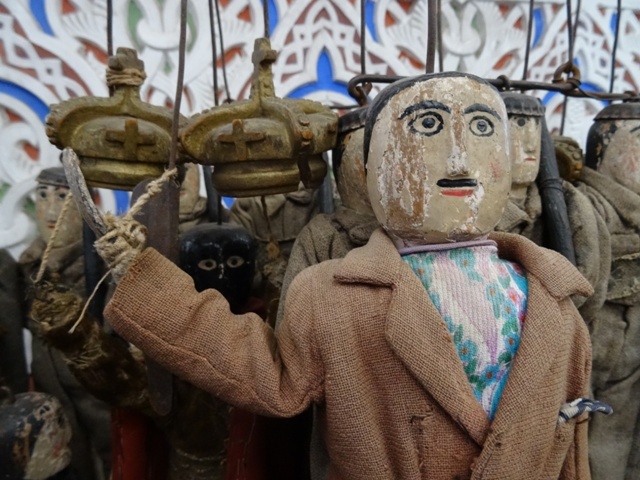 Puppetry and other associated arts are fundamentally cosmopolitan, mestizo (of mixed race) and integrative. As we have said in this magazine on previous occasions, puppet theatre allows us to realise the following paradox: to create unity through distance. From this perspective, differences are the spice of life; only when they are accepted can they function as a unifying agent. From this standpoint we wish to state the need to respect all differences in order to construct the appropriate uniting artefacts, which can be summarised by the word Bridges. What are Puppetring, Titeresante and Putxinelli if not bridges that unite different cultures, countries and sensibilities? What are festivals, theatres and museums, if not bridges? When extreme diversity of forms and ideas is accepted, meetings and harmony between people are made possible. Bonecos de Santo Aleixo, Évora, Portugal. Having accepted that every individual can think as they like and defend what they wish, puppets provide a technique for taking a judicious step back: let emotions be embodied in puppets so that we can observe them (emotions) from a different perspective, without allowing them to drag us into their diabolical twists and turns. This is one of the main reasons why figure theatre is, today, one of the most progressive art forms and one which most interests creative artists. We suggest that Punch’s stick, the ‘slapstick’, should remain in the hands of puppets, and that we don’t allow politicians and individuals who consider themselves possessed of the truth to come onto the street and wrench it from us. History has shown what happens to societies when the symbolic slapstick of folk puppets finds its way into the hands of politicians and fervent ‘believers’. Emotion is fair enough, of course, even when it spirals in on itself and creates a whirlwind. But when whirlwinds join together under flags and symbols of national identity they become dangerous and pose a threat. In search of self-affirmation they destroy all bridges. 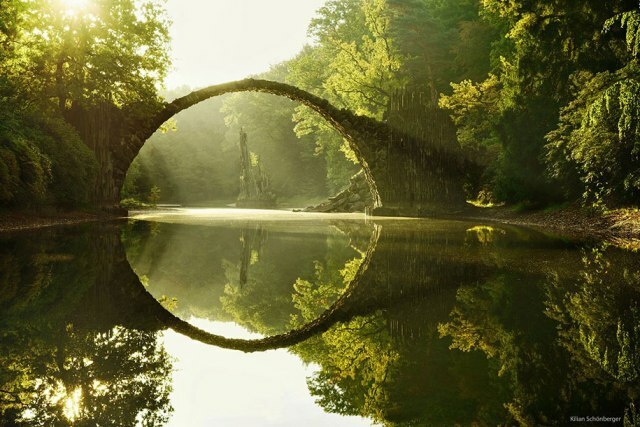 Bridge building requires two shores, which is why the structure is considered a paradigm of progress in civilisation. What we propose is the application of creative criteria to insoluble conflicts so that we can invent those artefacts that, out of the acceptance of diversity, make union possible. Puppets are an example and point us in the right direction. Puppets and bridges, or the art of putting things in perspective. 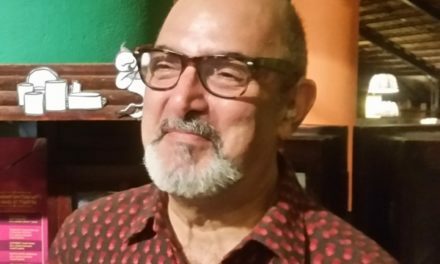 Toni Rumbau is a puppeteer and writer, founder member of the company La Fanfarra, Barcelona (1976-), of the Malic Theatre (1984-2002) and the Festival of New and Pocket Opera (1993-).